While nearly every August we try and pick a film in our monthly "Movie of the Month" series that is based on our favorite sport -- soccer. However, this go around, we opted to blend our passions together -- music, film and the Beautiful Game with Marley. The epic 2012 documentary by Kevin MacDonald tells the cradle to the grave story of reggae's biggest and best star -- Bob Marley. Marley, a massive soccer fan and his love of the game would prove to hurt him in the end, came to rise in Jamaica as a pop act before switching the music of the island. MacDonald speaks to nearly all of the singer's family, his friends like Lee "Scratch" Perry, Peter Tosh and others. 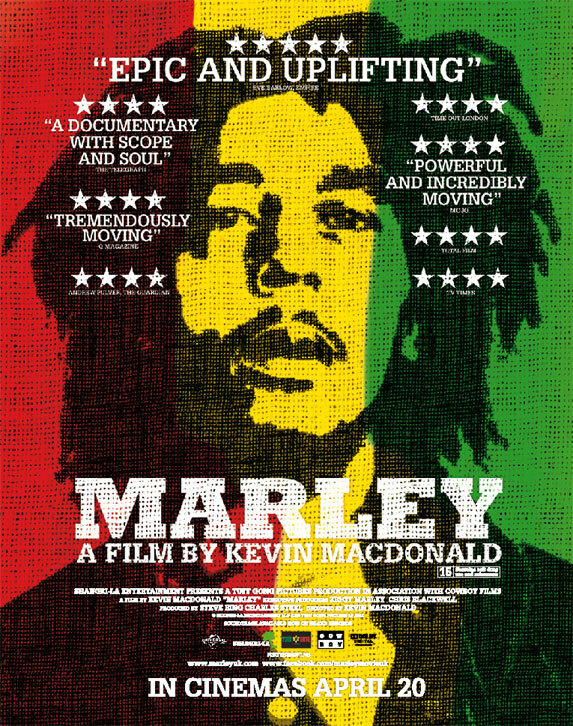 Marley shows how Bob became the symbol for his Rastafarian religion, living life and above all else, standing for something. He was his country's biggest unifier and celebrity. Marley displays how his music proved to be more powerful than any president and politician in Jamaica would have on the people of the island. It is without a doubt the ultimate documentary on the "One Love" singer and the definitive story of what it takes to be a leader and icon.